A truly unique and magical one hour gondola guided tour of Venice’s waterways, you will be guaranteed the best and most breathtaking views of the city of Venice from the water. 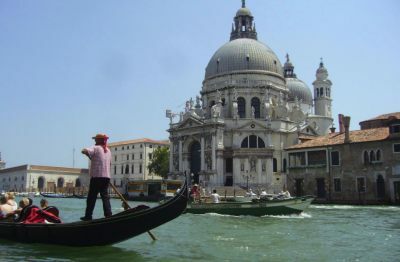 We glide along the Grand Canal passing Ca Dario, the Peggy Guggenheim museum, the Accademia bridge, the real home of Casanova, Palazzo Grassi, Ca Rezzonico, Ca Bembo, Ca Pesaro, close to the Rialto bridge, Campo Manin, and Mozart’s house. 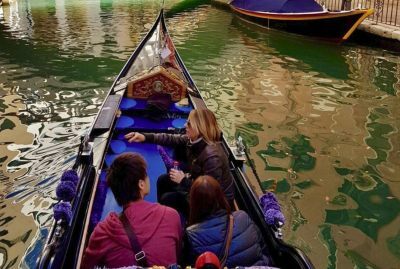 Once you have met up with our expert guide you will be steered in style by your own personal gondolier along the incomparable Grand Canal. Passing through centuries of history and stunning Palazzi, each with their own story to tell, you will glide effortlessly along one of the most, beautiful and elegant ‘high streets’ in the world. All you need to do is sit back, relax taking in the surroundings while our informative guide entertains you with stories and anecdotes of the city, explaining the history behind La Serenissima and her array of stunning palaces. Passing the Peggy Guggenheim museum the tour will take you under the modest Accademia Bridge, from here you will hear about the many characters that Venice has played host to such as Casanova. 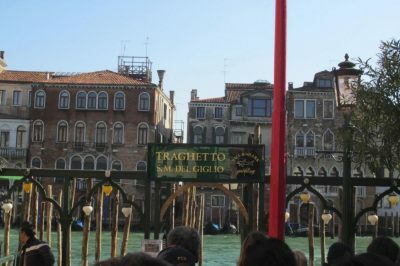 You will also discover the secrets of the Venetians, the ‘traghetto’ for example and the tales behind the gondola itself as we pass close to the majestic Rialto bridge. Turning into one of Venice’s scenic side canals, you will not only be able to enjoy the splendour of the Canal Grande but also the quaint charm of the smaller, more residential areas too - ‘real Venice’. These are just a few highlights of this outstanding exploration of Venice. Our informative guide will tell you all about the gondola, its unique structure and traditions of the Venetian gondoliers – unique to Venice. Why not indulge in this exceptional tour? Appreciate Venice from the best and most original angle. An excellent way to combine an informative and stimulating guided commentary with an essential gondola ride, this tour is not to be missed.